Taken from: Pom Pom Quarterly Autumn 2017 "Herati" - "Colourwork mittens are a staple of Juju's enviable style arsenal. Pom Pom legend has it that Juju has an entire cupboard full. And not a small cupboard, mind you. Sari designed these mitts with luxurious art deco wallpapes in mind. We looked at the geometric shapes and thought of everything from traditional argyles to the herati patterns traditionally used in Persian carpets. 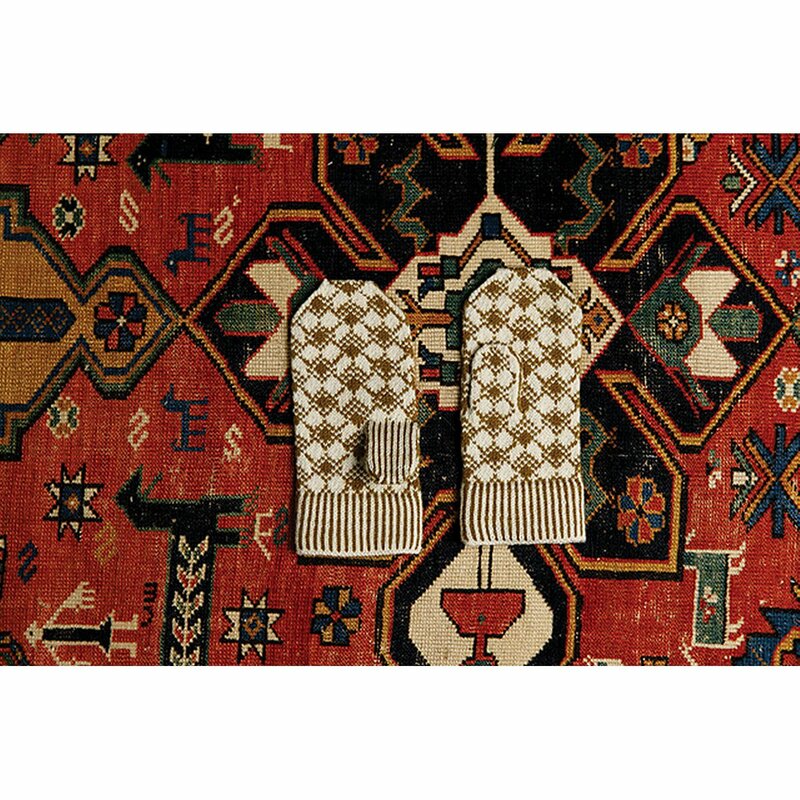 Herati were thought to be auspicious symbols that brought good luck and we hope you will wear these mitts well on your journeys." Size 2 mm / US 0 AND 2.5 mm / US 1.5 knitting needles suitable for working small circumferences in the round (or size needed to obtain gauge) are required but not included. Notions required but not included: 2 stitch markers, smooth scrap yarn in a similar weight, and a tapestry needle. Gauge: 36 stitches and 36 rows = 4 inches in colourwork chart. Yarn shown is Quince & Co Finch. We do not currently carry this yarn, but Berroco Ultra Alpaca Fine is a great substitute.